Philip Kotler, a famous U.S marketer, once said “kitchen of the world” could be suitable title of Vietnam, due to its bounty of good dishes. Vietnamese traditional foods differ from place to place, each region having its own flavourful traditional dishes. Ho Chi Minh City is the land of immigrants; therefore, its cuisines are diverse as its culture. 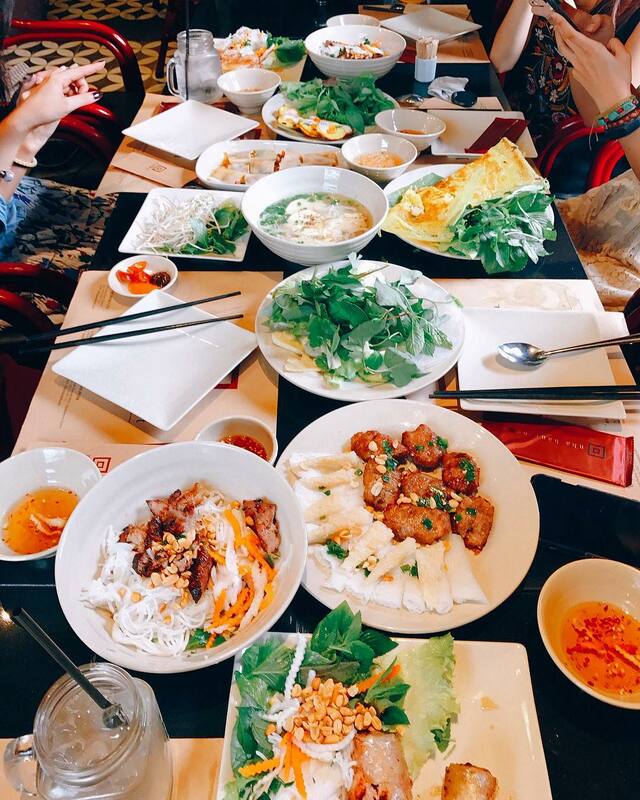 One of the best ways to get a real taste of Vietnam is going to some authentic restaurants in the heart of Ho Chi Minh City. 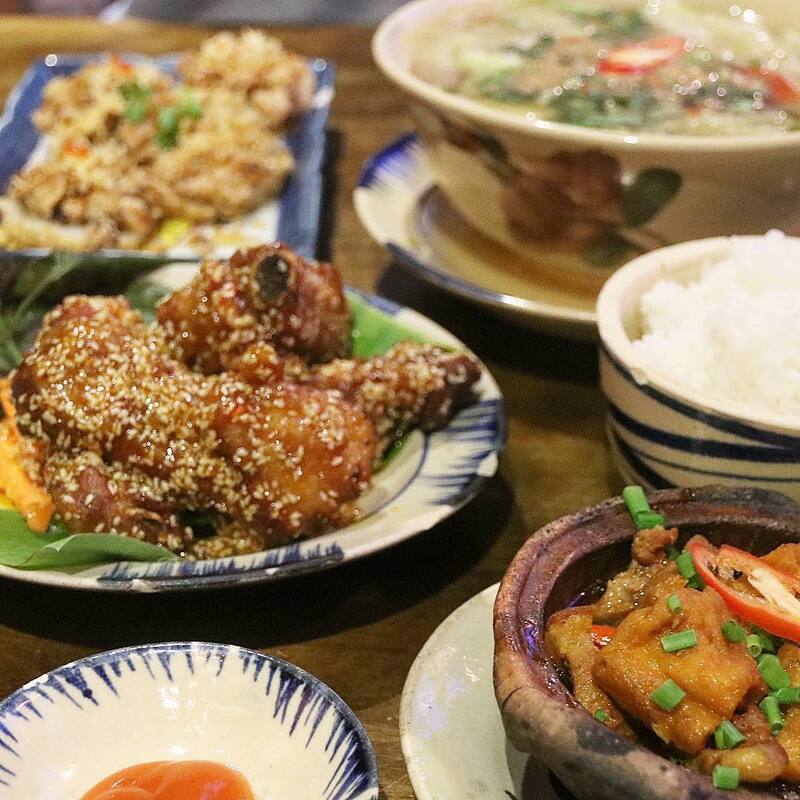 Here are top Vietnamese restaurants suggested by many Saigonese. 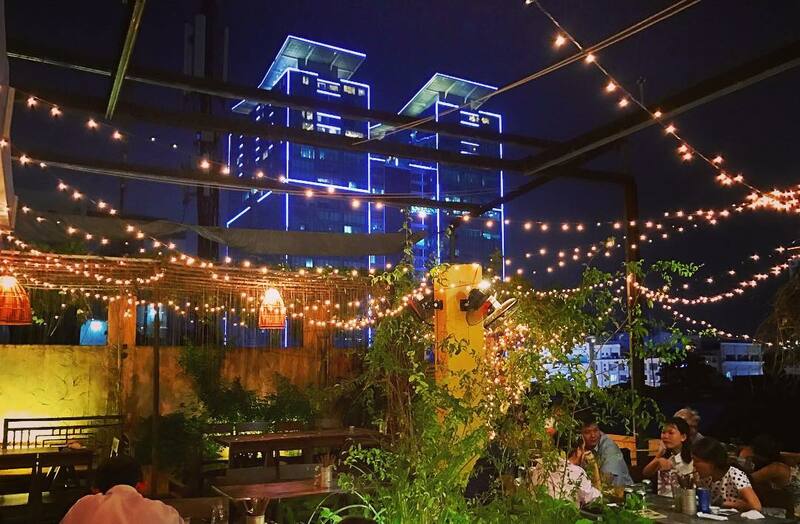 Secret Garden Restaurant, a calm garden on an apartment rooftop, provides you with traditionally rural dishes. 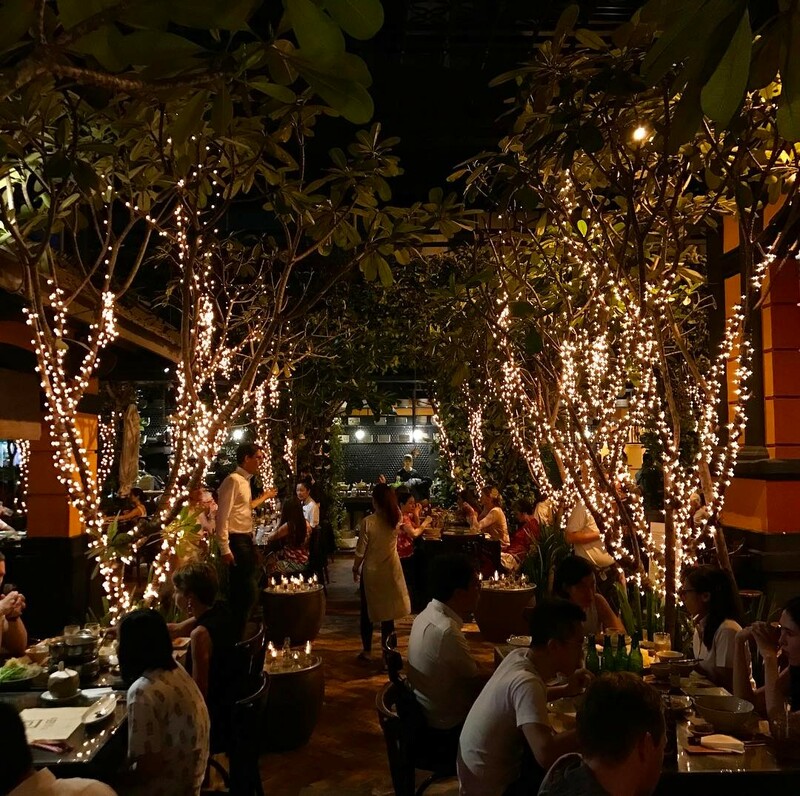 The restaurant is decorated with old Vietnam styled household items and handicrafts, making the atmosphere simple and homely. Most of the dishes here follow the cooking style of the Western Vietnam, which uses fish sauce in every dish. The highest recommended dishes are fried salted pork, fried catfish and cha gio (spring roll). The drinks here are contained in vintage looking glass bottles, served with a cup of ice. Customers need to pay 10,000 VND for cooked rice and can eat it as much as they want. The restaurant is located on the top of an old apartment, at 158 Bis/40-41 Pasteur, Ben Nghe Ward, District 1, Ho Chi Minh City. The average cost of the dishes is 65,000 – 110,000 VND. 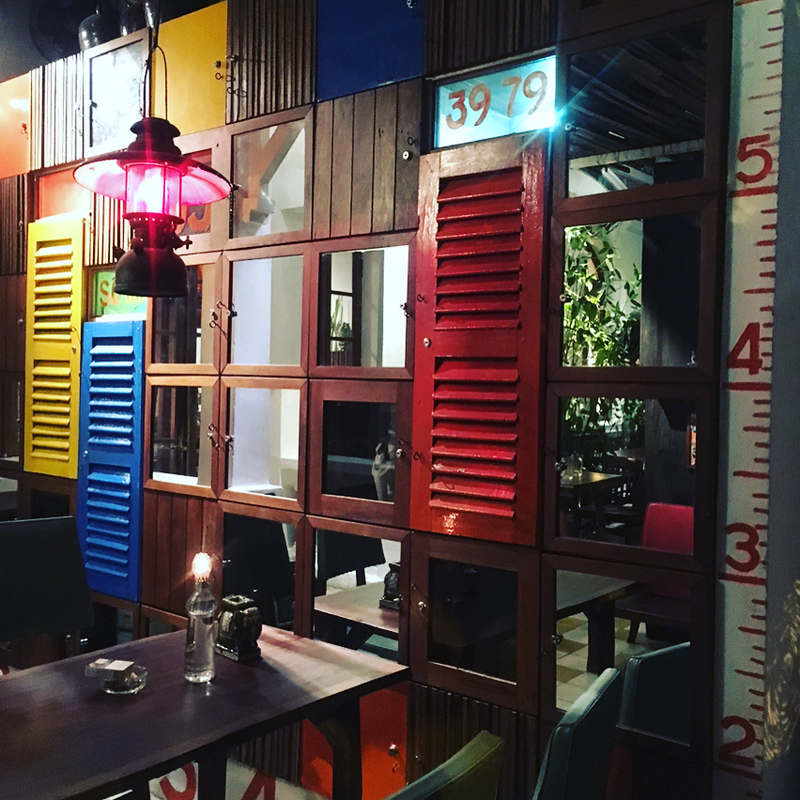 Ngon Restaurant is housed in a vintage French village, located on Pasteur street, centre of District 1. Whether you choose to sit in rooms or out in the courtyard, you are surrounded by twinkling fairy lights and many kinds of flowers. The restaurant is not air-conditioned but is always ventilated thanks to the fans creating a gentle breeze. The restaurant serves both foreign and Vietnamese food so there are tons of choice for customers. In terms of local dishes, the menu is full of Vietnam’s signature foods of all regions such as Pho, spring rolls, Khot cake, Hue beef noodle and so on. 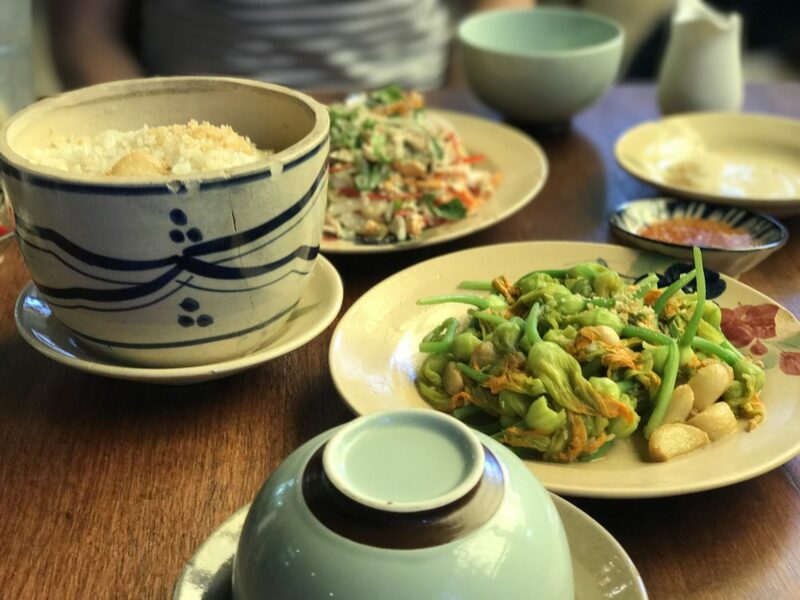 These dishes are accompanied with a plate of several kinds of vegetables, including different herbs and leaves that the Vietnamese usually have in their meals. The edge of Ngon Restaurant, is where its chefs sit around and prepare foods so customers can observe how the dishes are cooked. The atmosphere is fraught with Vietnamese cuisine breadth. Address: 160 Pasteur, Ben Nghe Ward, District 1, Ho Chi Minh City. The price here is a bit expensive, fluctuate between 200,000 – 550,000 VND per meal, so locals hardly go there, most of its customers are foreigners. Cuc Gach means “a piece of brick”. Located in a calm area, the restaurant gives customers best pleasant feeling of tranquillity. The key value that Cuc Gach Restaurant wants to bring about is a standard Vietnamese family meal. 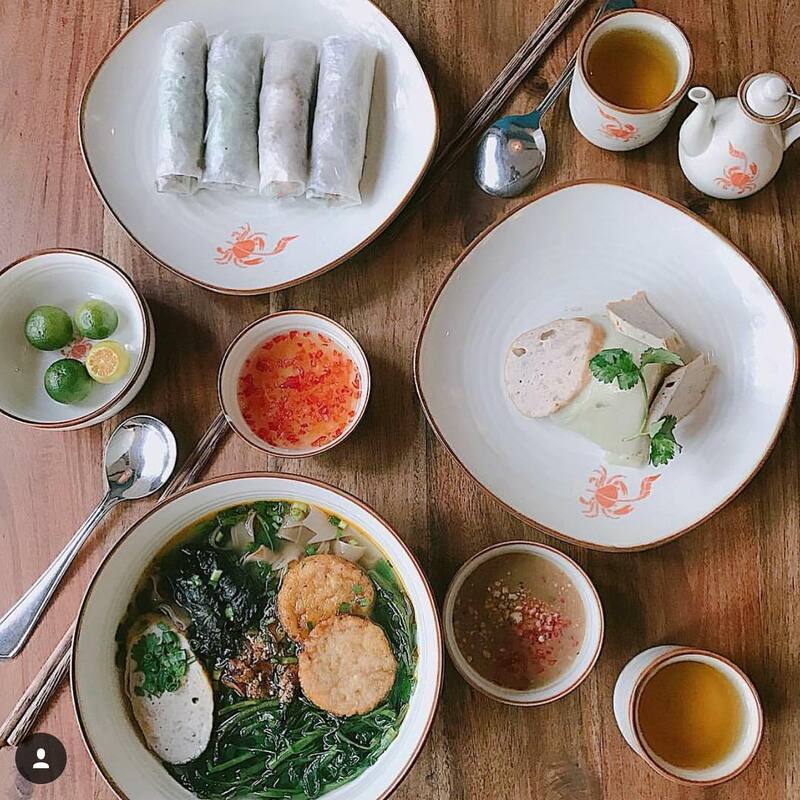 The menu is full of Vietnamese comfort food, locals refer to the food as “cooked by mom.” No Pho, no Bun bo, there are only foods that can be found in Vietnamese family meals and are related to every Vietnamese childhood. Some favorites include fried vegetable, pork or fish cooked with sauce, sweet and sour fish broth. The restaurant also offers homemade ice cream in various flavours. Another fun addition to this classic spot is that when you order a drink, the “straw” is actually a part of morning glory stem. Another great part of Cuc Gach Restaurant is the vast choice healthy food. The restaurant provides a wide range of veggie dishes and does not use unhealthy spices. A fun fact is that it was visited by Brad Pitt and Angelina Jolie during their trip to Vietnam back in 2010! This restaurant located at 10 Dang Tat, Tan Dinh Ward, District 1, Ho Chi Minh City. Its price is a bit expensive too, from 200,000 to 330,000 VND per meal. Same as Cuc Gach Restaurant, Chi Hoa Restaurant also serves Vietnamese family meals. Nonetheless, this restaurant is much more luxurious and gracefully decorated. For anyone who wants to explore the culture of Vietnamese suburb of old times (around 30-40 years ago), this restaurant might be the most suitable choice. The kitchen is an open room that allows people see how the food is prepared. 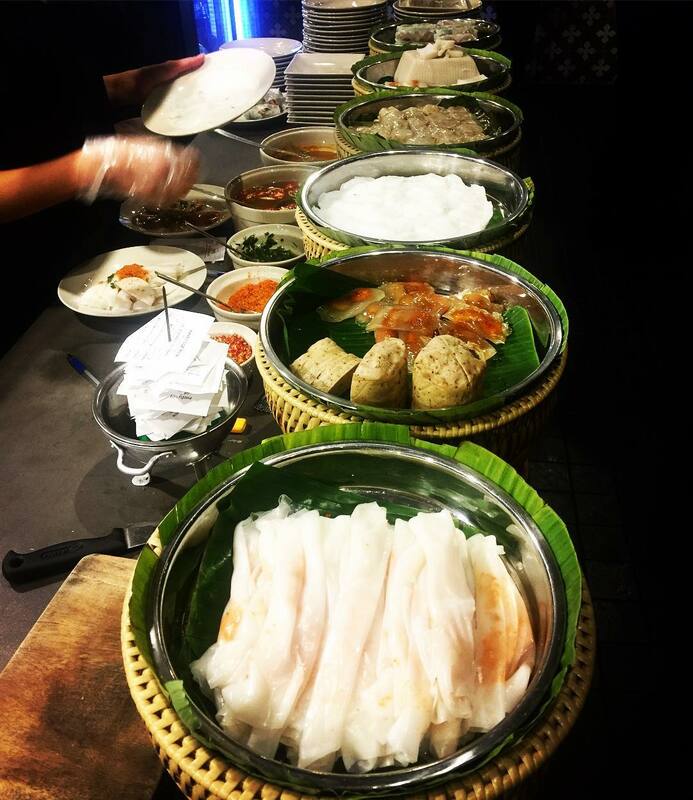 The quintessence of Vietnamese cuisine and ways to serve food is performed under hands of the chefs. The menu of this restaurant is diverse since it collects numerous common dish recipes from all regions of Vietnam. 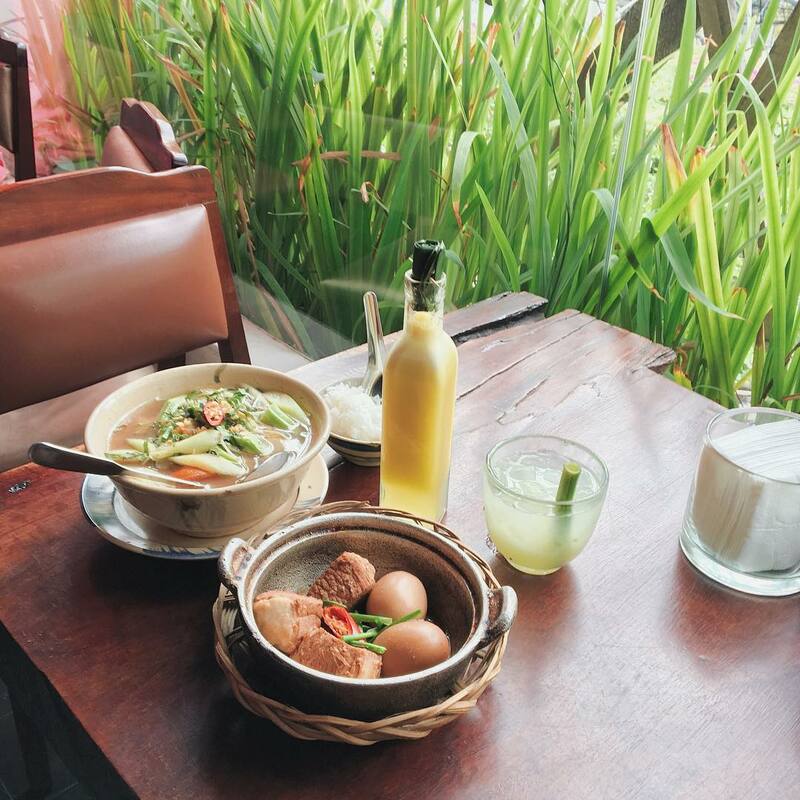 The most recommended dish is bangla white jute soup, accompanied by some salted white eggplant and a cup of shrimp paste. Most favourited dessert is Che Chi Hoa (Chi Hoa sweet soup), which includes three types of che in one plate, lotus seed sweet gruel, taro pudding with coconut gruel and mixed fruits. Banh Da Cua is a special dish of Hai Phong, a port city in Northern Vietnam. A standard bowl of Banh da cua must use “red rice noodle”, a kind of noodle made with the special method of Hai Phong people, and field crab as main ingredients. 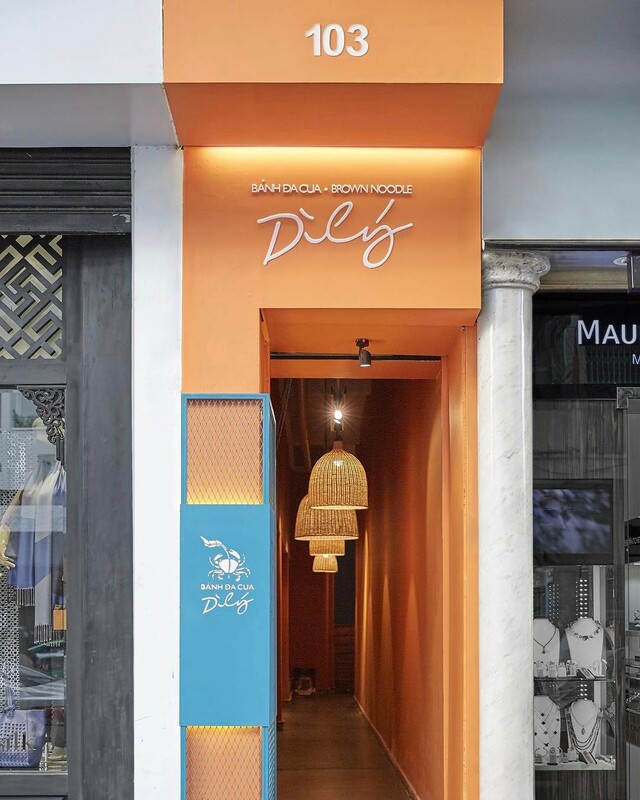 Di Ly Restaurant is located in the heart of Ho Chi Minh City with the hope to bring this delicious food to table companions around Vietnam. In terms of space, the restaurant is a combination of traditional Vietnam concept and fine modern architecture. Traditionally, Hai Phong people use pork to make the bowl but this restaurant also uses beef instead of pork. The broth was sweeten with pork bone and herbs. The restaurant also serves banh mi que (stick bread), nem ran (fried pork roll) and several sweet desserts. Address of the restaurant is 103 Dong Khoi, Ben Nghe Ward, District 1, Ho Chi Minh City. A bowl of Banh Da Cua costs 65,000 VND, and other desserts cost around 15,000 VND. The above restaurants are famous thank to not only the foods but also their atmosphere and serving attitude of waiters. Their target customers are foreigners and high-end class; though the price is kind of expensive, they’re worth the price. If you’re looking for a cheaper choice, get a local friend who would bring you to many other authentic restaurants located in many small alleys of Ho Chi Minh City. Those restaurants mainly serve the Saigonese so the price is affordable for locals who simply want to get good foods. Here is a guide to cheap street food in Ho Chi Minh City. 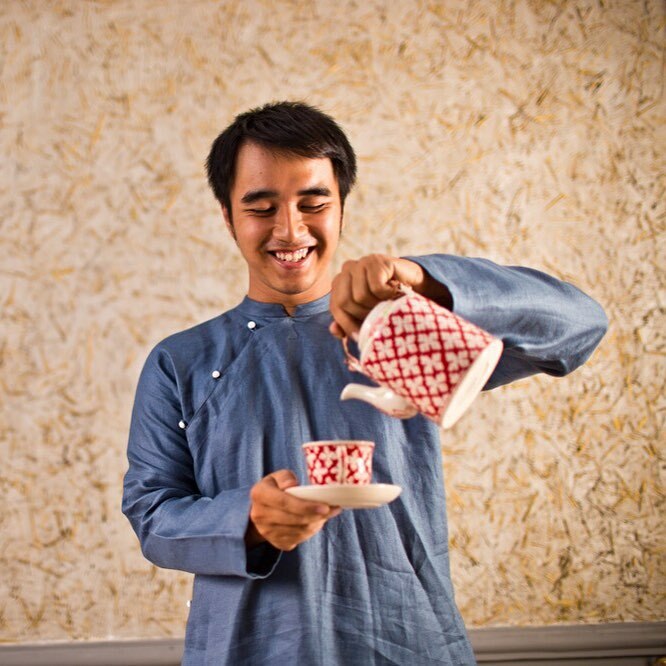 Want to try daily life tastes of Saigon? Find your private local tour guide for your Food tour in Ho Chi Minh City on Inspitrip.